By Garett Sloane . Published on August 01, 2016. Vin Diesel on Facebook Live. Facebook has started running tests of mid-roll video ads inside live video broadcasts from top publishing partners, the company confirmed Monday. These are Facebook's first ads that get served directly inside videos on the social network. "We're running a small test where a group of publishers have the option to insert a short ad break in their Facebook Live videos," Facebook said in an e-mail. The social network has indicated for months that there was a possibility of introducing commercial breaks during live-streams, and head of product Fidji Simo touched on the opportunity in a forum in June. Facebook has even been paying publishers and Web celebs to start streaming. The payments were seen as necessary because the platform does not have a mature ad-model for videos that it could share with its partners, who lacked the proper financial incentive to come on board. Facebook has always been reluctant to show pre-roll spots -- ads directly before videos -- because CEO Mark Zuckerberg said he thinks that ruins the viewing experience. Clearly he is more amenable to mid-roll, as Facebook started notifying advertisers last month that their commercials could start showing up during live video streams, according to knowledgable people. Facebook told advertisers that the video ads would be drawn from among promoted video campaigns already running on the platform, but some brands could opt out of having their ads appear during live broadcasts, the source said. "We wanted to opt out immediately, because there was no reporting on how well it does and you don't have control over where the commercial shows up," the agency executive said. The concern was that some media companies cover volatile events, and some brands don't want ads to play during, say, a tragedy. Facebook Live rocketed into the mainstream since it played a part during police shootings last month, setting off mass protests. Still, many live videos are of the uplifting variety. During its quarterly reporting last week, Facebook said "Chewbacca mom" reached 160 million views with a video of a woman trying on a mask of the "Star Wars" character while laughing hysterically. BuzzFeed has generated attention on live with stunts such as exploding a watermelon. Publishers also control what categories of advertisers can run in their channels, and they can turn off the ads if there are any sensitive subjects being covered, said publishing sources familiar with the ads. Live video has become a battleground for social media platforms -- Facebook, YouTube, Twitter and Snapchat -- all competing for more professional content. They are chasing TV to lure advertisers into digital video. YouTube basically invented the model of splitting ad revenue from pre- and mid-roll ads with content creators to motivate their sharing on the platform. Facebook has one deal with media partners in which it places promoted video posts among suggested videos, and it splits the ad revenue. That program has not made too many publishers rich, because they wind up making fractions of a penny per video view, according to publishing executives. Facebook is still in the testing phase with the Live commercials, and it is not certain that it will develop them into a full-fledged ad product, sources said. Facebook could eventually share revenue with the media partners, but it is not doing so as part of the test run, according to people familiar with the ad trials. Facebook keeps the ad revenue, but it does pay some premium publishers directly for their content on Live. "We haven't seen any money yet," said one publishing executive, who is part of the trial. "We're basically doing them a favor." One features would allow Facebook to serve different ads to different viewers watching the same live broadcast. "It's cool. It's a tool that lets us take commercial breaks and go to commercial. It's real innovation," the publishing executive said. The media partners are finding Facebook Live to be inconsistent in terms of how many viewers they can guarantee. Some broadcasts attract millions of views while others struggle for an audience, sources said. "It's hit or miss. We know it takes time to figure out what works, and that's why Facebook is paying people to experiment before the results are fully in," the publishing executive said. Facebook Live could become a legitimate advertising channel if brands build fresh creative commercials for it, according to Chris Tuff, director of business development at 22squared. 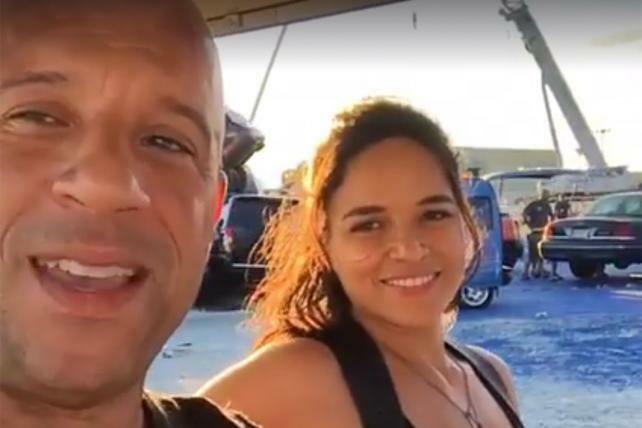 For instance, last week, actor Vin Diesel streamed a behind-the-scenes look at his new "Fast and Furious" movie, which could have been a perfect time for the studio to run an ad, Mr. Tuff said. "Vin Diesel just hit 100 million followers, which is crazy, so imagine they run mid-roll ads for the film he's starring in. It makes perfect sense," Mr. Tuff said.